The following is a lecture I delivered while serving at the Swampscott Church of Spiritualism (in Swampscott, Massachusetts) a few years ago. I’d forgotten about it and just today found it on a thumb drive. I’d like to share it with you because these themes are coming up often in my readings. It’s rather long…so don’t feel like you need to finish in one reading! As I pondered my topic for today, I kept coming back to this question: “Why does Spirit take time to communicate with us?” Besides the healing of grief and the proof of continuous life, I was wondering about the higher purpose in it all, and how this communication serves our spiritual development. Here we have a religion formed around the phenomenon of Spirit Communication, but with only 10 guiding principles, and no dogma or creed. As a result, we don’t often delve deeply into the “why” of it all. I thought to myself, ‘If I can identify the primary themes that come through again and again from Spirit, then perhaps I can put my finger on the “why” of it.’ So Thursday night, I grabbed a notepad and pen, settled into a comfortable chair, closed my eyes and took a few deep breaths. I allowed my mind to relax and trace back over the years of mediumship studies and of receiving and recording messages, seeking common and significant themes. I let myself be “inspired” to work in league with Spirit. Very quickly, themes began flowing in and I wrote them down, and as I did, I would ask, “Why is this theme important? Why does Spirit focus on this? How does it help us? What are we to do with these messages?” And in response, a thematic hierarchy emerged that would form the basis of today’s lecture. Are you surprised as well? It doesn’t seem at first blush to encompass all that we consider to be the goal and purpose of Spirit communications or communion with the Divine, so further research was clearly needed. To begin, I had no idea to whom I should attribute this expression. Googling revealed that it was so much more interesting and certainly more relevant than I had anticipated. It all began to make sense, particularly in light of my recent studies in Mexico, but I’ll get to that in a moment. So let me share with you why this simple phrase, “Know thyself,” can be offered up as supporting affirmation and benefits for Spirit Communication in our lives. The expression, “Know thyself” is attributed to Pythagoras, Socrates and many later philosophers, but it has its earliest-documented appearance in the ancient Egyptian Temple of Luxor, which dates back 3400 years ago. I happened to visit this temple in 1981, and I can tell you it is magnificent. Sacred teachings are inscribed on walls and pillars all around the temple. There are two parts of the Temple of Luxor; the outer temple where the beginning initiates were allowed to gather, and the inner temple where one could enter only after being proven worthy and ready to acquire the higher knowledge and insights. So that was ancient Egypt. Now let’s jump over to Mexico for a minute. I recently spent 3 weeks in Mexico completing my yoga teacher training at Present Moment Retreat. I went there very focused on the yoga postures, on the idea of teaching and integrating this teaching into my understanding of healing through the chakras. 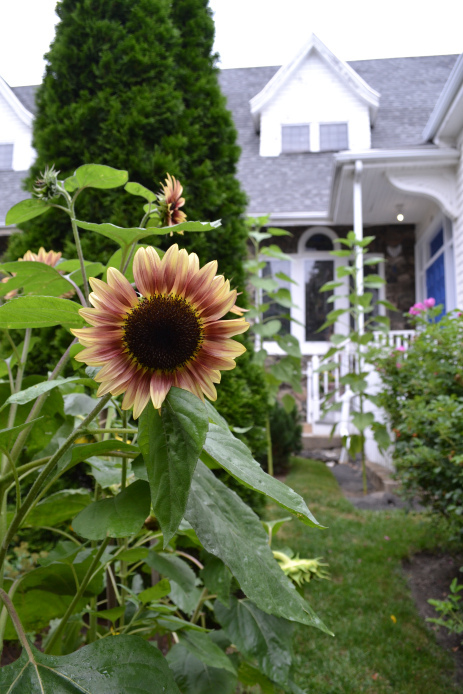 What I didn’t anticipate was how Sadhana Yoga, or the yoga of spiritual practice—one of the 8 limbs or areas of yoga— would so capture my attention. Sadhana Yoga is the Sanskrit term for spiritual discipline, or “The Path to Realization.” The Path to Realization? Hmmm. That sounds a little like, “Know Thyself,” doesn’t it? 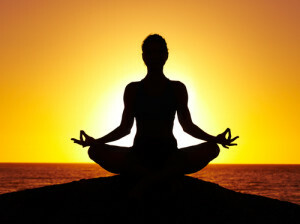 The Yoga Sutras are the core teachings of Yoga, and discuss among many things, the importance of releasing distractions of the intellect, emotional self, and the ego, to find equanimity in our lives, and once achieved, to find greater connection to the Conscious Absolute, to God, the Divine–or Infinite Intelligence, as we Spiritualists say. To “Know thyself,” as the ancient Egyptians proclaim or to “Practice the Path to Realization” as the ancient Indian sages teach, both represent the soul’s journey toward inner knowing. It is acknowledgement that we are a spark of the Divine, and that we carry this God light within us at all times. The purer we can be in thought and action, the closer we can follow our soul’s goals in this lifetime, and not be derailed by fear, grief, addictions or other negative influences. The human race, and the human body itself, has reached a point of evolution in this millennium where connecting with our higher self, our God self, is increasingly possible. We are indeed in the age of enlightenment. Through meditation, through spiritual music and mantra, through mediumship and prayer, we may attain our connection to Spirit and to our inner spiritual selves much more readily. Each of us has a purpose in this lifetime, and if you are here, in this church today (or reading this on my blog today), you have been called upon to ignite your light, to know thyself, and to illuminate and find your purpose. Yes, we need to learn from our past but Spirit encourages us not to dwell there. And yes, we need to attend to our future, but to not dwell there either, longing for things we don’t have in our lives today, and missing out on what today offers us. How we live today has a tremendous impact on the success of our tomorrows, and this is a message that comes through often from Spirit. Now, back to my brainstorming. Under the category of “Be Present” emerged a list entitled: “How to live in the present.” From there, it was easy to see the connections to our lives and practices as Spiritualists. Certainly, none of these are exclusive to Spiritualism or any religious philosophy for that matter, but it’s very comforting to think about how much Spirit works with us in this task, and how the practices of Spiritualism promote “being present,” so that we can “know ourselves” and evolve spiritually toward that best expression of ourselves. The first strategy to living in the present is to release negative emotions that tie us to the past. In Principle No. 4, we affirm that the existence and personal identity of an individual continue after the change called death. Connection to Spirit allows us to ease our grief, to heal the pain of loss, to more easily detach from wanting to live in the past and to gradually find joy again in living in the present. In pursuing this goal, Spirit utilizes many means of communicating with us: the most obvious being through message work, but then it broadens dramatically from there to communication in meditation, in dreams, via hypnosis, everyday inspiration, physical signs, music lyrics, energetic promptings to follow one path or another—and even through the mouths of young children and strangers. The third strategy is Being Fully Present with Others: I first came to the church in Spring of 2002, and in the summer of that year, I and several others from the church headed to Camp Etna for a long weekend. While there, I sat for my first long reading from a gifted medium, who is now the pastor of the Greater Boston Church of Spiritualism, Rev. Mary DiGiovanni. I recall only one aspect of that entire reading, and it was about being present. My grandmother Irene, in Spirit, presented a model of communication that contained a wheel within a wheel. I was the inner wheel, but there were many colors of me, each representing my various roles in my relationships with others. 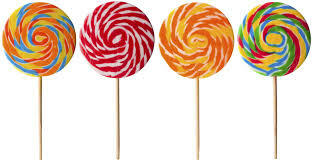 The outer wheel contained all the key people in my life, colored to the counter role. My grandmother taught me that when I align myself, or my inner wheel with another, it should click into place, and I should not be continuing to spin the inner wheel, even in my mind.Irene’s wise advice was this: when you are present with someone, you are not checking your phone, or ruffling through papers, or watching TV, or browsing the internet, or thinking about what you are going to eat for dinner, or all the things on your to-do list. Find the purpose in your conversation, in your meeting, in your relationship with them. Know that person, respect that person, and give that person your undivided attention. Get your ego out of the way, and be yourself. Know them and let them know you. It is in these moments of presence that our energy is whole. Give yourself over to that moment, and learn who you are in it—as a mother, father, brother, sister, spouse, friend, employee. Who are you? Know thyself. The fourth strategy to being present is to focus on a task, event, or happening without distraction: Who was here last week when Troubadour Shawn Madden played with our musicians? The joyful energy was so compelling that we were all really PRESENT in that experience, together. We were alive in that energy—and I don’t know about you, but I carried that with me for days. How many of you sang, “Lighten up…whoa…lighten up. Don’t take yourself so serious!” Talk about a message of Being Present, and knowing yourself, right? That joy, that bliss – that is our souls’ natural state, that is the state we are meant to live within, and when we create these opportunities for ourselves, we tap into that inner Divinity, that light within; we connect with our higher self, and we remember who we are. Yeah…that’s being present. Being present is also when we are really focused on a single task in solitude – that’s when we tap into our purpose, into a stream of inspiration from both our own higher self and from Spirit. We get in the ZONE, we listen, we co-create our futures with the Divine Intelligence, and come to better know ourselves. Become the watcher of your life: One of the spiritual practices I took away from my yoga training was learning to rise above and detach from external drama around me, and to become an observer so that I may maintain my equanimity and sense of personal purpose. It’s so much easier to think and to just BE when you are not involved or implicated in difficult life dramas around you, dramas that you didn’t start and have no way to control. How many of you have gotten messages from Spirit about exactly that? “Release,” says Spirit.” Allow. Step back. It’s not your battle, not your decision, not your life. Let go.” Right? Sound familiar? Become the watcher of your life, the impartial witness; give yourself permission to step away and detach from negative dramas unfolding around you. Discover and embrace your life purpose: Many of the messages from Spirit have to do with overcoming current challenges in our lives, and offering words of encouragement, love and support. But there’s a bigger picture to your life, a strand of purpose that threads itself through all your life experiences. If you practice being present in all these ways, sit quietly in meditation, releasing negative thoughts and emotions, and listen carefully to the promptings of your soul, you know what your purpose is. And if you’re not sure, in your meditation just ask Spirit to show you. Then, follow the signs that Spirit puts before you. Listen for messages. Pay attention to your dreams and to the sychronicities that occur in your life. And don’t just say, “Oh, that was cool,” but rather, “Oh, that was cool. Now what does it mean? What is Spirit saying to me? What can I do and learn from this?” Sometimes the message is just, “We’re here, so relax. Things are going to be fine. You’re on track.” And we then allow ease to displace anxiety and dis-ease. Be present, know thyself and through this, know God. Here is a topic I would like to explore – or I should say, really need to explore! Yogananda, in one of his meditations, said “You have created us against our will. Free us.” Only a few years ago, I began to think about this, and I really take exception to having been created without my permission. I don’t mean subsequent lives in which we finally had free will to choose before we incarnated, as described in Michael Newton’s books. In the very beginning we should have been shown what living in physical bodies would entail and how much suffering we could experience. Then we should have had the option to say, “No, I don’t wish to exist.” I know of no one who addresses this issue – no medium, guru, writer, etc. – and everyone seems surprised/shocked when I bring it up. This has become an enormous stumbling block for me. Formerly, I was a person who loved god/creator/the infinite light, etc. Now I absolutely despise the entity, being or whatever perpetrated and created this grossly unfair system. I know we’ve made our own karma, but again, we should have been offered the choice to exist or not to exist before all the long, miserable incarnations began. It makes me sick at my stomach to think that I might have to live in and endure yet another human body, with all the physical and emotional pain it entails. Fortunately, Dr. Newton writes that we can refuse to embody again – I only hope, with every atom of my being, that it’s true!! If it’s not, perhaps we can be allowed to refuse to exist any longer – that would be my preference – to be dispersed, completely annihilated, along with every record or memory of my identity. That’s another shocking aspect to people – they can’t imagine losing their identity. I welcome it – let me cease to be!! That being said – and please excuse the rant! – I look forward with all my heart to being with my Mother, my family and loving friends on the Other Side. Maybe that’s compensation enough – I don’t know. Any thoughts you might have on this subject will be appreciated. Hello and thank you for your thoughtful post, MustBeAnonymous. I’m definitely in the Dr. Newton camp with respect to this topic. Destiny of Souls is my all-time favorite book on this topic. My experience as a facilitator of Life between Lives Regression journeys, per Dr. Newton’s method, confirms for me what he describes. FREE WILL reigns, here on Earth and on The Other Side. My clients, under hypnosis, concur: We do not live Earthly lives against our will; rather we are the primary architects of our lives. We set our goals, enter into sacred contracts with members of our soul groups, and meet challenge after challenge in life — challenges that we set up for ourselves to evolve spiritually. But first and foremost, we decide if we even WANT to come back to Earth, or elsewhere. We may choose to stay on The Other Side for however long we wish, living out our soul’s goals in a different manner. I believe that Dr. Newton’s books describe the process of viewing, on a video-type device prior to being born, what our lives might look like per our plan. When those moments do occur, we experience deja vu. Now, should we choose an Earthly life, because free will is always at play for ourselves and everyone around us, our path is not always exactly as anticipated. There may be diversions in any good plan, but we learn from those as well. Typically the more evolved the soul, the harder the life, the tougher the challenges. You might find several of my earlier posts on Life Plans of interest. Just click on Life Plans in the tag cloud. If you’re so inclined, you might engage a hypnotherapist trained in Life between Lives hypnosis, so you can experience for yourself the reality of Free Will across dimensions. 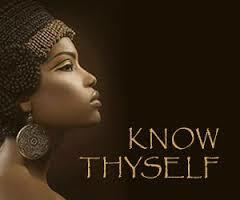 Have you come across an image of “know thyself” as it appeared on temple walls and above entrances?